Enjoying holiday now is just not so enjoyable. I can't imagine the crazy hours spent in front of my laptop to rush the work I procrastinated for ages, and now I really need to pamper myself! 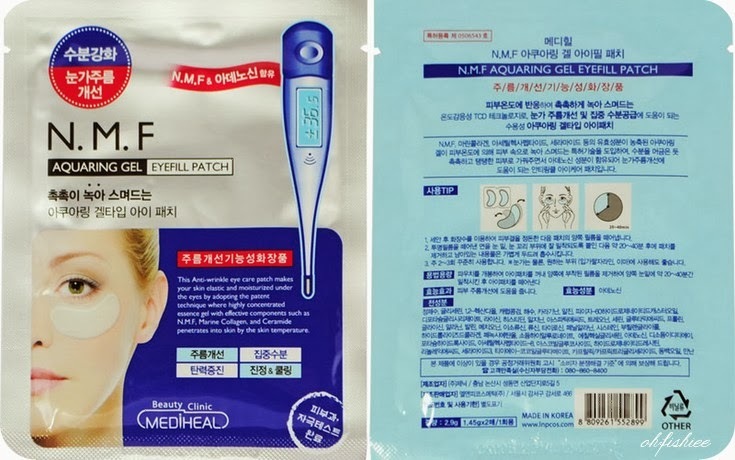 A mask combination box from Hishop Malaysia came at the nick of time, and I'm glad to find one of the Korean Eyefill Patch to pamper my tired eyes! 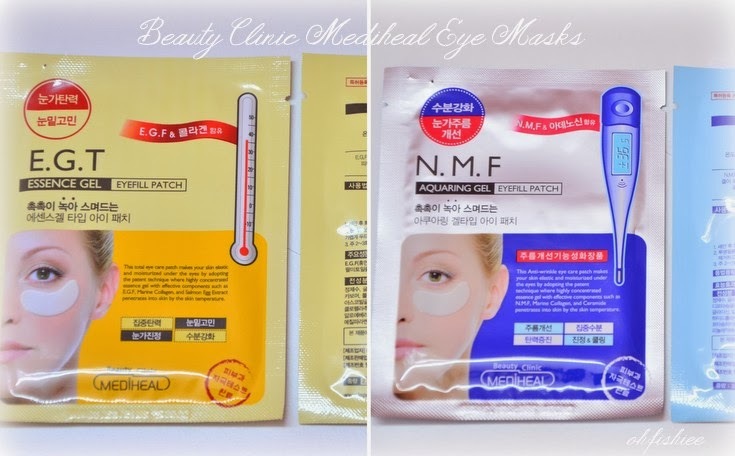 I got two types of eye masks from a renowned Korean brand, Beauty Clinic Mediheal. As its name suggests, the brand uses special skin prescription and principles of treatments used on beauty clinics to allow you to achieve healthy skin again. remove them and you can see the textured jelly pad that feels soft and soothing on the eyes. 1. Start by cleansing your face and apply toner to prep your skin. 4. Enjoy for 20-40 minutes and remove it. 5. Gently pat remaining contents until fully absorbed. Best to use continuously 2-3 times a week. 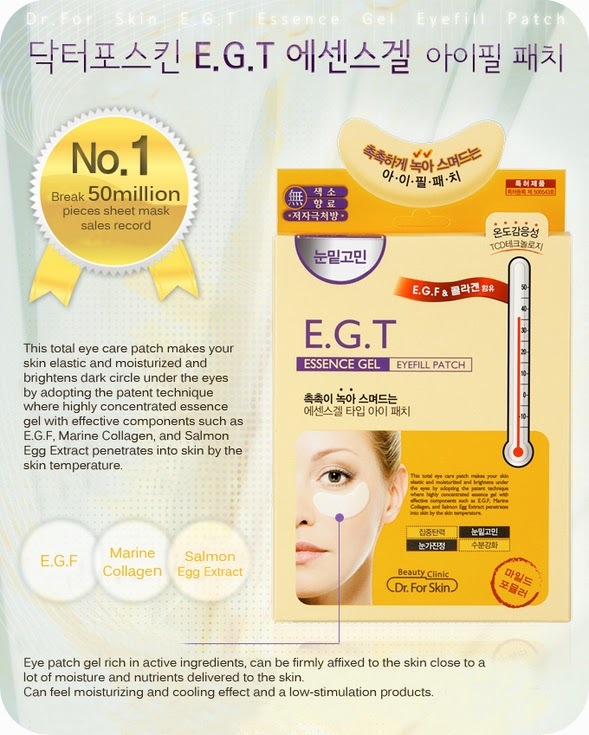 An total eye care patch for elastic and moisturized skin under the eyes. It contains highly concentrated essence gel with effective components such as E.G.F., Marine Collagen and Salmon Egg Extract that penetrates into skin by the skin temperature. As I open the packet, the eye patch is inside an extra package, which makes it easier to use. Here I can forget about the messy encounters with certain masks that make me all wet. For best result, it is important to adjust around the outer corners of the eyes. But I place it a little higher because it is way too comfortable for soothing my tired eyes! 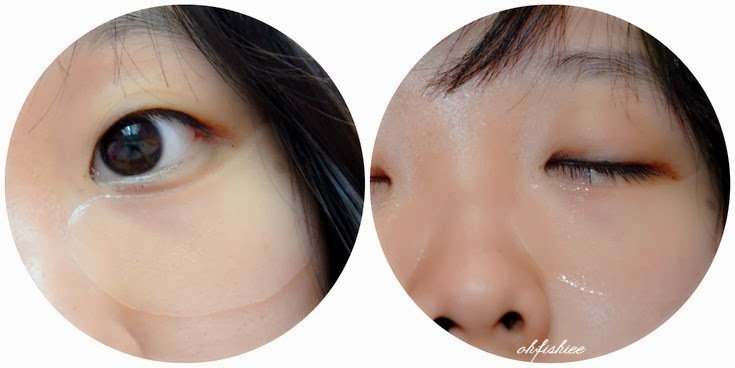 The curved gel patch fits perfectly on Asian's face too. 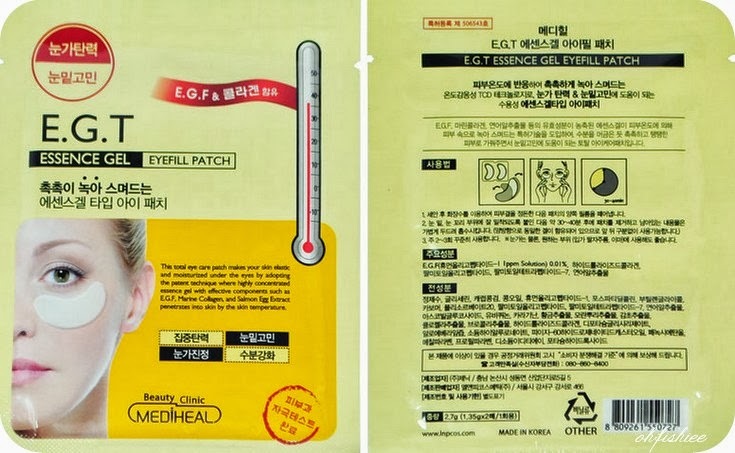 This anti-wrinkle eye care patch contains highly concentrated essence gel with effective components such as N.M.F., Marine Collagen and Ceramide to relieve pre-mature wrinkles while leaving the skin cool and moisturized with its mild formula. This is better and more cooling as compared to the previous one. It helps to get rid of wrinkles, but since I don't have any (yet) it can help me to prevent it from appearing. I love the soothing sensation that totally relaxes my heavy eyes. Sometimes wrinkles don't appear around the eyes, you can use it around the mouth or forehead or any part where wrinkles are visible. Best to use continuously 2 - 3 times a week for optimal result. You can purchase any Beauty Clinic Mediheal products at HiShop Malaysia under this link. Don't forget to enter the discount code "HSMASK" and enjoy instant rebate of RM20 *Valid till 15 November 2013.
wahhh fishee, its look nice and comfortable lah!! oh i didnt know beauty clinic mediheal also got eye mask! haha looks nice!